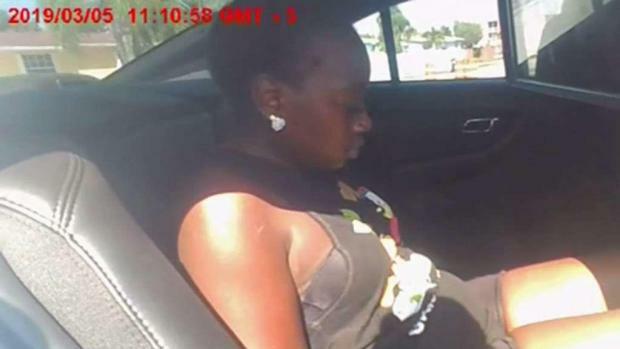 Miami-Dade Police released an officer's body camera footage showing the arrest of a woman that led to the officer being placed on paid administrative leave. The footage shows the March 5 arrest of 26-year-old Dyma Loving from the perspective of officer Alejandro Giraldo, who was placed on leave after a different cell phone video surfaced this week. According to an arrest report, officers responded to the scene on Southwest 201st Street after Loving and another woman, 22-year-old Adrianna Green, got into an argument with a male homeowner who allegedly threatened them with a gun. A separate report alleges Loving became irate and uncooperative while not obeying their commands. Miami-Dade Police released an officer's body camera footage showing the controversial arrest of Dyma Loving. NBC 6's Steve Litz reports. Thirteen months after 16-year-old Anthony Borges saved dozens of lives during the Parkland school shooting, the former Marjory Stoneman Douglas High School student was honored by his favorite soccer team: Futbol Club Barcelona. Borges traveled to Spain with his family to watch FC Barcelona take on France's Olympique Lyonnais. Not only did he witness his favorite team emerge victorious (the final score was 5-1), but he also toured the team’s Camp Nou stadium. Anthony Borges, who is credited with saving 20 lives during the Parkland school shooting, was honored by FC Barcelona - his favorite soccer team - in Spain. 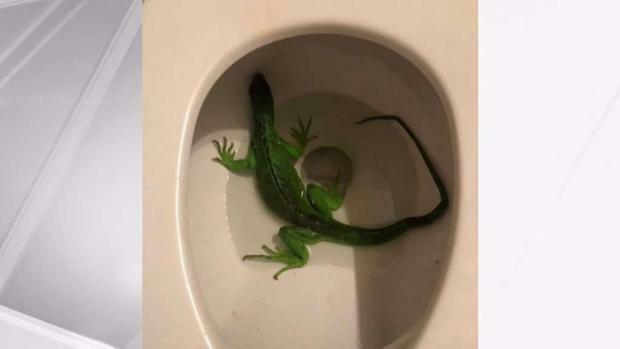 A homeowner in Fort Lauderdale got quite the shock when they went to use the bathroom – and found an iguana in the toilet! Fire rescue crews tweeted a photo of the green reptile just hanging out at the home after getting a call about the home “invader” causing quite the concern. Rescue crews say the reptile was released without harm after being found Thursday afternoon. The Doral Police Department is searching for thieves who stole two go-karts housed at a local business. Jason Angles, 18, told NBC 6 he was three weeks away from his next go-kart tournament. Now, he's not sure if he'll be able to compete. “I had two karts. I had all my tires; a bunch of tire sets, rims, tools. I even had a pocket bike ... to go around the track. It’s called a track bike," Angles said. Police told us the theft occurred on Feb. 16 at about 11 p.m. The thieves stole a trailer containing about $54,000 worth of professional racing go-karts. 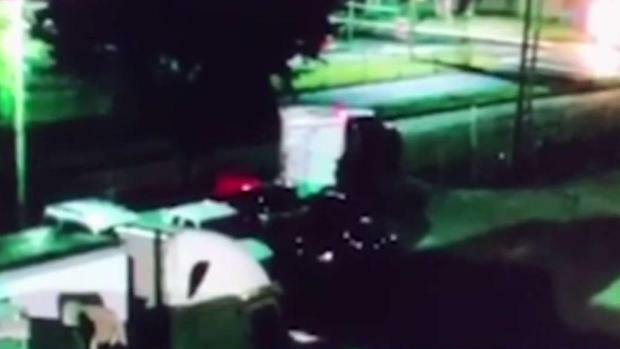 NBC 6's Nathalia Ortiz reports on the theft of go-karts from a local businesses. The theft was captured on camera.